We manufacture various sizes of portable farm houses as per specific requirements with/without furniture. Property Description : 25 R with 2 nos of Borewell . 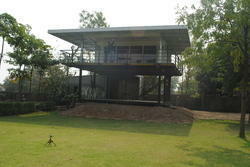 Farm House 1100 sqft, 1 km from Rahata city, within 5 minits market, sopping complex & hospitals etc. 5km from sai temple.